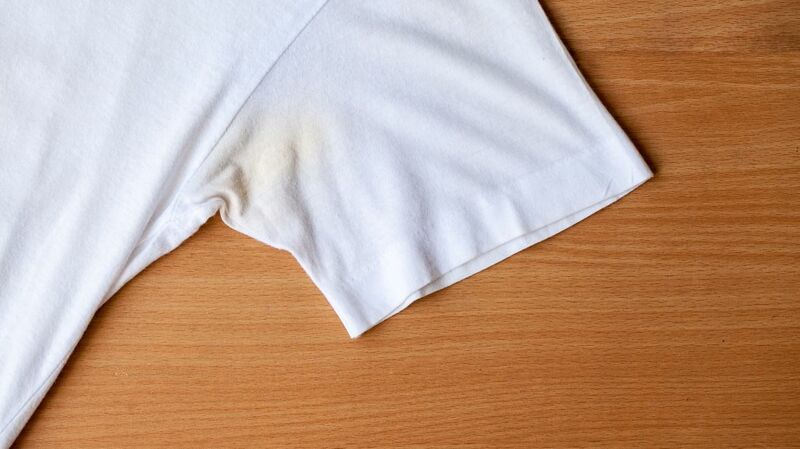 If sweat is colorless, why does your favorite white T-shirt get those unfortunate yellow armpit stains after a long day spent under the sun? As the Sci Show’s Hank Green explains in the video below, perspiration itself isn’t the culprit; it’s actually the aluminum chloride in your deodorant, which works to plug up sweat glands but inadvertently causes a yellowing chemical reaction. You don’t have to go deodorant-free (and lose all your friends in the process) to achieve a stain-free wardrobe. Try using an aluminum-free deodorant or waiting a few minutes after application before putting on a shirt. And in worst-case stain-arios, try enzyme-boosted laundry detergent, which can break down proteins and potentially save your shirts.